Nelson Mandela's life was like Winston Churchill said of his own, both long and 'not one that has not been entirely uneventful'. 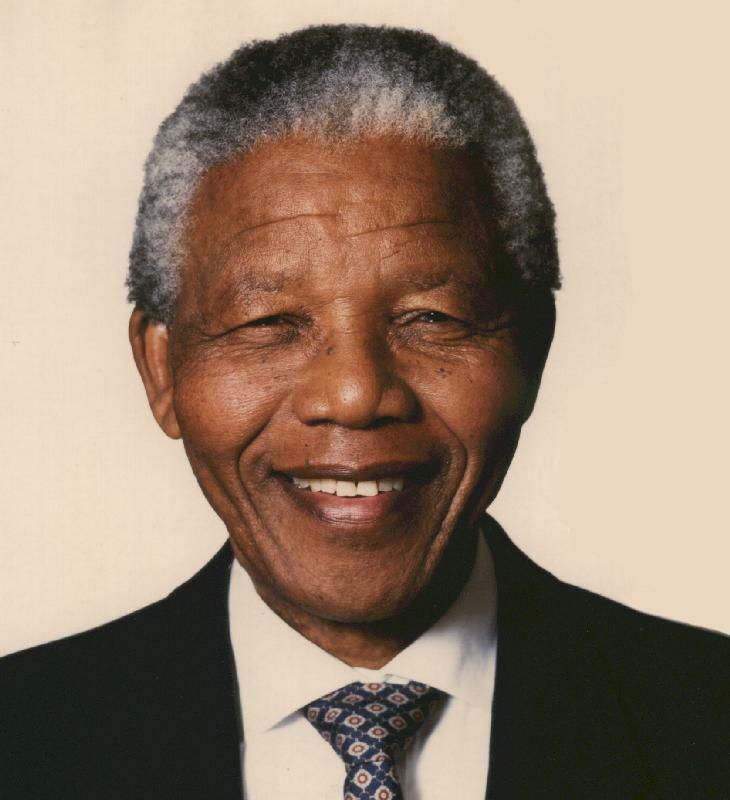 Mandela: Long Walk to Freedom was released shortly before the former South African President's death in 2013. Adapted from President Mandela's autobiography, Long Walk to Freedom does a strong job in attempting to cover the full measure of Mandela's life. It might not be able to cover everything in his life with equal measure, but Long Walk to Freedom does not shy away from presenting us with the less flattering parts of Mandela's life. While it soon forgets that part to give us a more appreciative look into his life, the fact that Long Walk to Freedom took the step to show he was not the saint he said he wasn't is a plus in its favor. We begin with his early years when, as a member of the Xhosa nation, he is initiated into the rites of manhood. We then fly many years later, where Nelson Mandela (Idris Elba) is an attorney in South Africa, the first Black lawyer in a country plagued by apartheid where Whites, Blacks, Indians, and Coloreds were not just separated in almost every aspect of life, but where the white minority is systematically held back and held down. Whites are appalled at the idea that they would have to answer questions from a Black man (even if said Black man was the attorney of record conducting a cross-examination). He marries, but both his work in the anti-apartheid movement and his constant philandering cost him that relationship. However, by this time he meets Winifred Madikizela (Naomie Harris), with whom he falls passionately in love with and marries. That marriage, however, is not to last long, his activities finally getting under the white minority leadership's skin. He begins to make the struggle to end apartheid an armed one, and eventually he is caught, tried, and convicted of treason. Now he is sent to Robben Island, where he starts chipping away at his jailers by small acts of rebellion (such as his push to allow the Black prisoners to wear long pants, a privilege reserved only for Indians and Coloreds). As time progresses and South Africa is both shunned and torn apart by apartheid, Mandela's stock rises, particularly as the white minority government fears the Black majority will take revenge and create a bloody civil war. Eventually, Mandela, over the objections of his fellow African National Congress leaders, begins meeting with the government. He and his fellow prisoners are also moved into better and better quarters, though still a prison is a prison. Mandela concedes nothing, but also steers the two groups into seeing that South Africa would benefit from majority rule without having the nation fall apart. I saw Long Walk to Freedom and came away respecting Madiba more than I had before precisely because he was not held aloft as some god come down to save us all. At least in the beginning, we see Mandela as an extremely flawed man, one who at one point strikes his wife for confronting him about his infidelities, and to even show his infidelities makes him a more flawed human. It is reminiscent of Gandhi except that in that film the Mahatma was portrayed with rather great reverence, almost to the point of mummification. Granted, later on in Long Walk to Freedom we get that 'Great Man' biopic, where Mandela appears imbued with that great foresight to save the nation. However, by this time we have a grip on the man who went through so much to maintain his principles. There was another flaw. It was the decision to cover so much that other more interesting aspects (such as Mandela learning Afrikaans to 'know the enemy') were entirely dropped. This would I think have made not just for a more well-rounded portrait of the man but also would have underscored the depth of his thinking. These are aspects that Long Walk to Freedom could have done better. 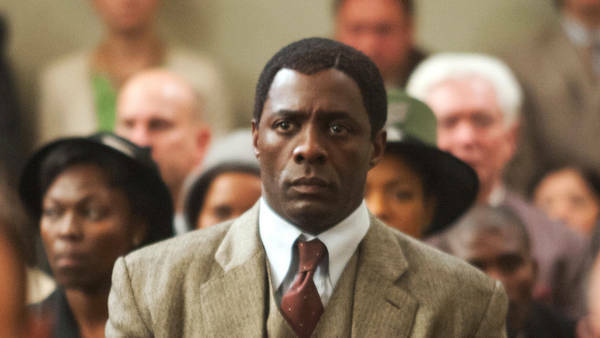 However, I can only find words of praise for Idris Elba as Mandela. He not only does an excellent job in sounding and speaking like Madiba, but also gives us an insight into the man himself: his lusts, his anger, his quiet and steady determination. His famous speech at his treason trial, declaring himself ready to die for his principles, is spot-on (and fortunately, Alex Heffes' score does not drown him or try to push our emotional buttons). Harris is equally strong as Winnie, and the film does step back a bit from showing the darker side of Mrs. Mandela, it doesn't show her to be monstrous either. Long Walk to Freedom does as good a job as can be expected, neither deifying or demonizing the subject of the film. 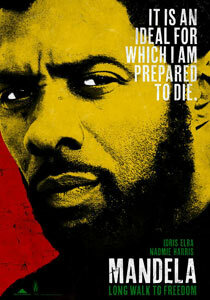 It is not the definitive film of Nelson Mandela, but Idris Elba commands the screen and seeing him give full range to someone like Mandela is worth seeing.